I was looking for some good destinations to explore and rediscover in Karnataka for quite some time. 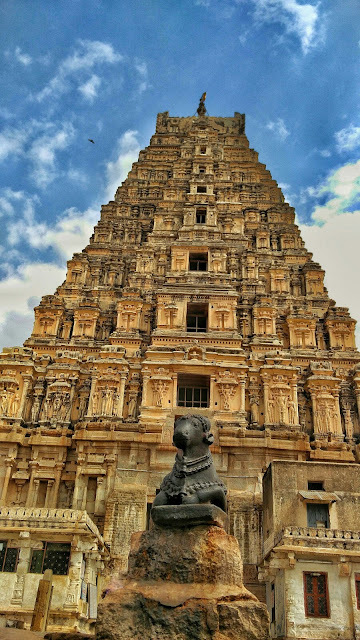 That’s when I stumbled upon a few pictures of Hampi uploaded by my friend on social media and they instantly sparked interest in me. I wanted to avoid the common & kind of boring destinations, avoid crowds and enjoy at the same time (I know! Too much to ask for) and I hit the bull’s eye with Hampi. Hampi is cramped between hundreds of rock formations by the banks of the Tungabhadra River in the middle of nowhere. It is like a Gold Mine for Archaeologists across the globe. There are many sites where UNESCO has done restoration work and a lot of excavation. 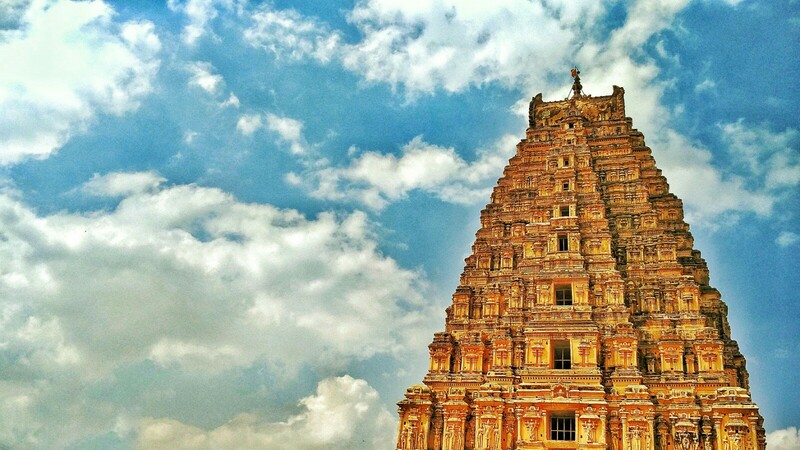 At first glance, Hampi seems to be a remote village on the inner, inaccessible parts of India. Almost a barren land, the climate here is extreme. As noon approaches, the Sun shines brighter, and the warm wind current- LOO begins to flow making it unbearably hot! As for accommodations, the lack of well-built structures leaves a traveller with 2 choices- either select any one of the numerous homestays available or go across the river in the village of Anegundi to hope for better accommodation. 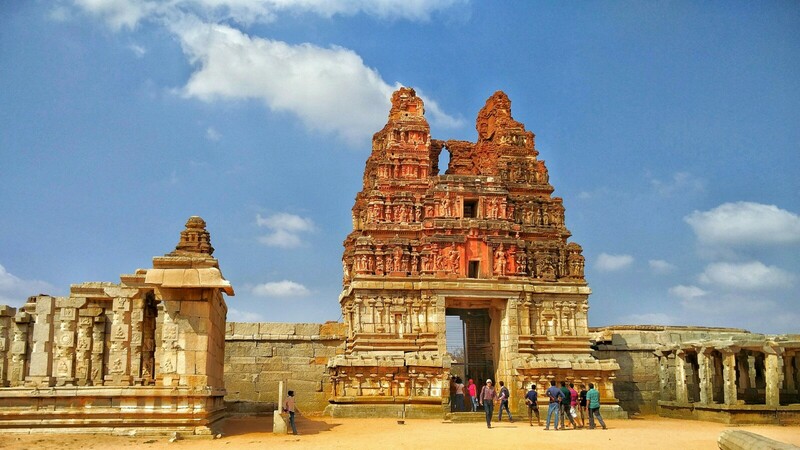 November to February is the peak season for tourism in Hampi, but if you wish to beat the crowd, visit around August-September; it’ll be a bit difficult to find a place to stay but will be worth it. With a towering height of 160 feet with 9 inbuilt stories it is Legendary! The Tungabhadra River is a vital means of transport in Hampi. Even I preferred crossing the river in a Coracle boat and walk till Anegundi village on the opposite bank rather than travel 20 kms by road. These boats along with bicycles and motorcycles are the only modes of transportation in and around Hampi for a Solo Traveller. The latter ones are available on rental basis for about 100-300 INR per day while the boats range between 10-50 INR. I chatted up some locals and was introduced to a whole different Hampi I never knew existed. 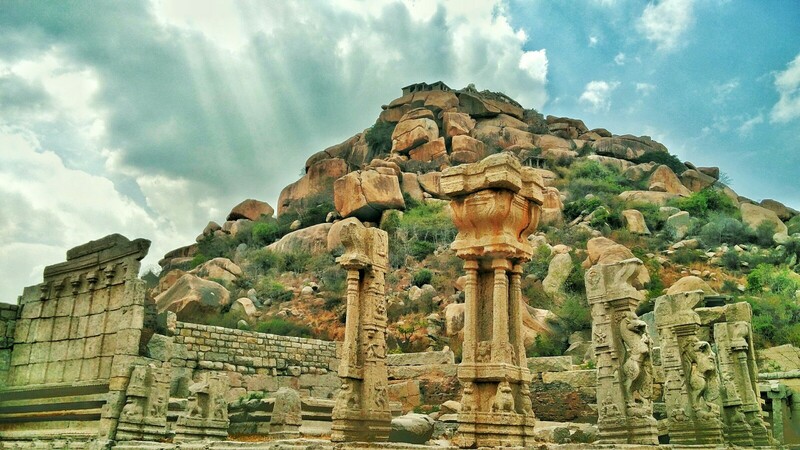 “This is actually KISHKINDHA, the monkey kingdom from RAMAYANA (a Hindu epic). We are also the descendants of king Krishnadevraya of the Vijaynagara Empire. This was a prosperous city”, one of them told me proudly, filled with excitement. I looked around as though scanning for signs of past prosperity. “Sadly now it isn’t. Vandalism even though not so prominent then, turned a monstrosity few centuries back. The age old conflict amongst the followers of Hinduism and Islam led to the destruction of this pre-historic city, almost wiping it off the map of India” he sighed. All the tourist places lie within a radius of 6 kms from the centre of Hampi, the Virupaksha Temple. I was awestruck by the ruins of -temples, royal palace, the many bazars (markets) that existed centuries ago; the elephant stables, the infamous STEPWELLS all with the rock formations as the backdrop. 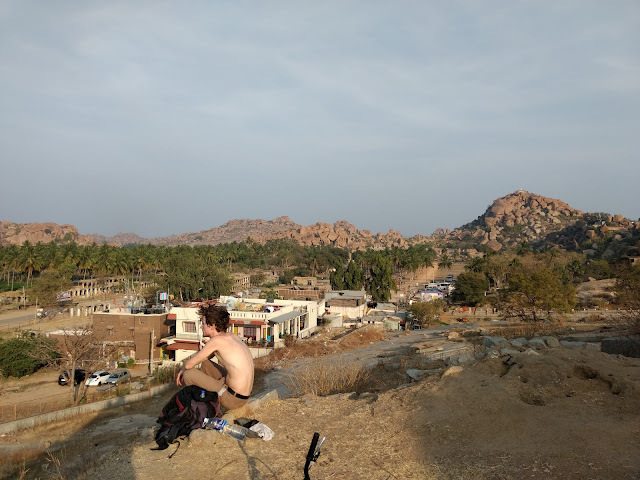 The sunset at Hampi is the best i have ever seen! A young lad gazes upon the beauty of the city and reflects back on life. Isn't this what we live for? 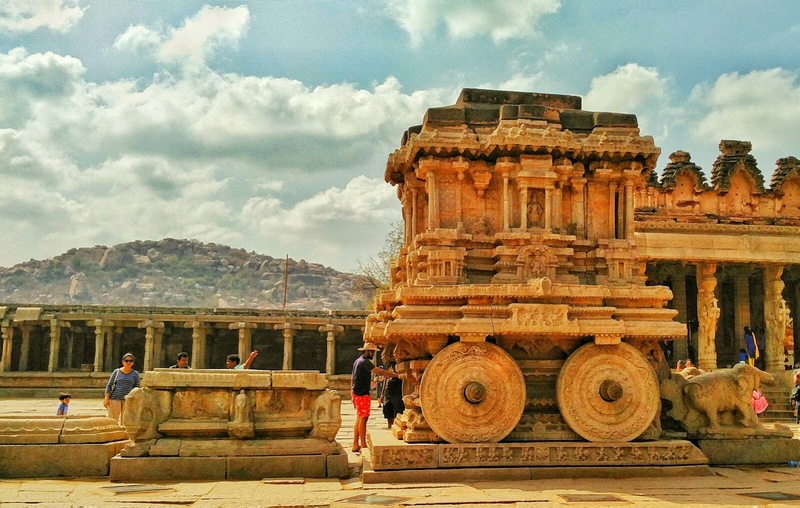 How does your story of Hampi go? Traveling freely without letting your wallet feel a hard pinch is a real task. I speak (well, I write!) from personal experience and from that of others. It seems easier to follow a strict diet while trying to drop a few pounds but following your budget while traveling is a snowball’s chance in hell! Useless expenses torch the wallet entirely leaving you in a cumbersome situation. A jovial attitude while managing expenses on the road can be a precarious ladder to stand on. I opt to follow some menial methods to keep myself in check. Hope they can help at least a few of my fellow travellers. Reminiscing: How extending my stay in Leh led to unforgettable memories! When you plan a trip and everything goes accordingly, the immense joy you feel is one of a kind. But, completely dismissing the idea of spontaneity while traveling so that you can simply relish the climate a bit longer and marinate in the travel vibes won’t do you any good. Sometimes, listening to that inside voice and following it can lead to some quite spectacular experiences like mine.